I must be the only person never to have tried this, but for some reason I've just never bought this skincare product before! My mum uses it and absolutely loves it, and I know every blogger and their dog raves about it too, so after mentioning that I wanted to give it a whirl, my mum bought me a bottle of the toner for my birthday. I've used it a couple of times already, but obviously with a skincare product I'm not expecting immediate results. I'm sure I will be falling head over heels for this cult favourite, so I can't wait to properly try this one out! I've seen photos of this palette all over Instagram and instantly knew I needed it in my life- and so I nudged my boyfriend in the right direction accordingly. I adore Sleek for budget products, and their powder-based palettes are always incredibly pigmented (I have their blush palette and it's by far the best one I own). 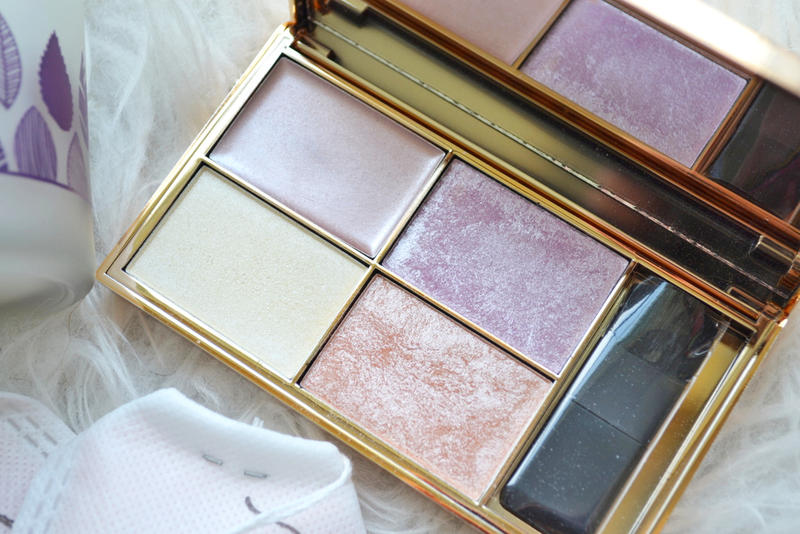 This highlighter palette is no different, and it was a case of love at first use. Each shade is completely stunning and gives the most perfect shimmer. Plus, I had ran out of my old powder highlight and desperately needed a new one so this came at the right time! Technically not beauty related, but I guess it's health related so I'm chucking this into the list. One therapy I haven't tried for my trichotillomania/ general anxiety is mindfulness. I know many people swear by it and claim that it has transformed their life, but the only experience I've had with it is a brief encounter with the 'Headspace' app. With my anxiety being at its worse at the moment, my mum bought this for me as a way to dabble in mindfulness. Whether it's something I pursue further or not, I'm sure this will still be an interesting and enlightening read that I can't wait to get stuck into. I don't even know how to start expressing my love for this foundation. I ran out a couple of months ago and was absolutely devastated. even scraping the sides of the glass bottle to get those last few drops (although I did rediscover this CC cream as a consequence- silver linings and all). It's quite a heavy coverage base but I haven't found one better than this- I honestly couldn't sing its praises enough. It matches my skin tone perfectly, gives a gorgeous glow to the skin and even faintly smells of watermelon. I'm so glad it's back in my life. You can read my original review here if you are interested! If there's one thing you can never have enough of, it's candles. I always have so many in my home- I think they look gorgeous and are a great way to add a homely touch, but there's nothing more relaxing than lighting one and filling the room with a relaxing scent. My nan got me this lavender and chamomile scented candle from M&S (part of the Pure beauty range) and it smells so relaxing. 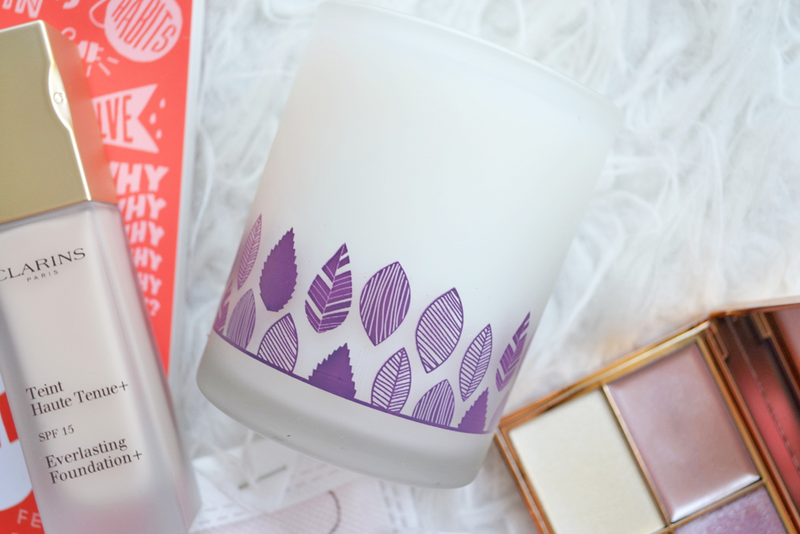 Lavender is one of my favourite fragrances and I find it perfect to help me unwind. The candle itself has gorgeous, elegant purple leaves around the bottom which is so pretty too. Definitely one to light alongside a nice hot bath. Speaking of baths, this brand is available in Superdrug and they offer some really fun, unusual bath and body products. My sister bought me these quirky 'T-Bags' (along with some maccaron bath fizzers which are equally as cute) which I can't wait to use. They're novel, innovative and so much fun- I love the idea of popping a tea bag in your bath! A great alternative to bath bombs, plus the sweet fruity berry scent is beautiful. You get so many in a box too, making it the perfect excuse to run more baths and have some relaxation time! There are so many exciting products here that I can't wait to share with you in more detail. 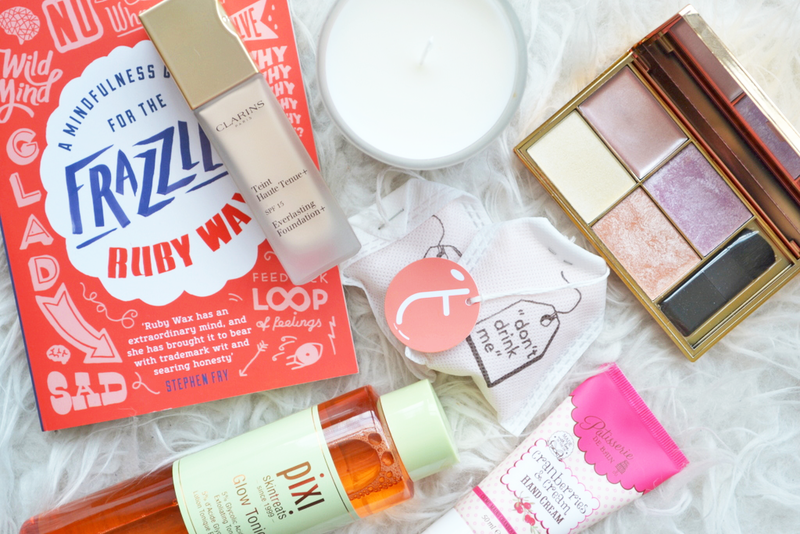 In the meantime, I'm off to run a bath, light my new candle and pamper myself with some of these new products. 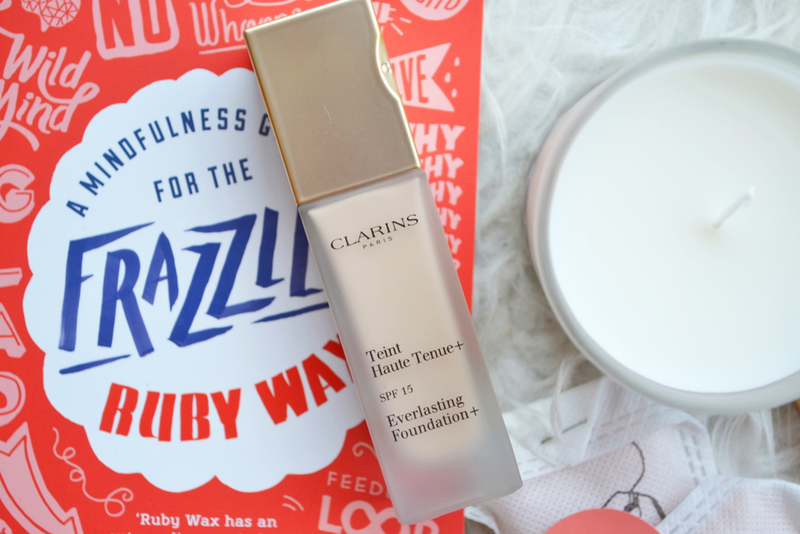 (I also received the most gorgeous Elemis cleansing trio that I forgot to include in the photos - bad blogger alert - but a full post will be coming on these so don't be too sad). Yay! I'm really glad you decided to do this post as I love reading stuff like this! It looks and sounds like you had a wonderful birthday :). 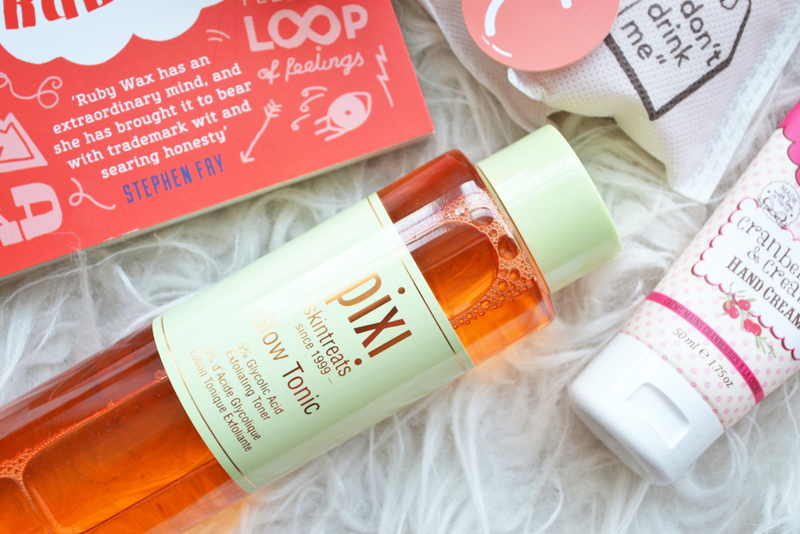 Can't wait to hear how you get on with the Pixi Glow Tonic, I'm yet to try it out too!